While gathering information for this week's cover story about the system for tracking dishonest or discredited police officers (and other government witnesses), I requested documents from the Spokane County Sheriff's Office pertaining to one deputy in particular. The response was illuminating for issues surrounding requests for public information. I already had some evidence of this deputy's troubled past, but I wanted to know if he had any more recent issues since 2011, where my records mostly stopped. 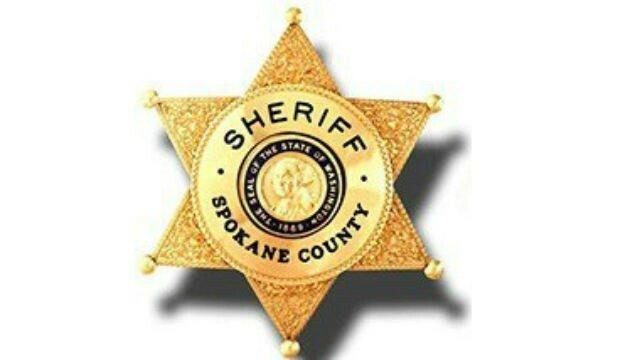 So I submitted a public records request for "all findings where it has been documented that Deputy Travis Smith has violated Spokane County Sheriff's Office policy, any instances of misconduct, sustained excessive force, otherwise discourteous interaction with the public, or criminal law violations since November 22, 2011." The only record I received in response was an internal investigation into a citizen's complaint against Smith (which was eventually resolved). I was told that complaint was the only item in Smith's file since November 2011. But I knew that not to be true. I was aware of at least one use of force incident from 2012 that should have been captured by the request. I brought this to the attention of the Sheriff's Office records keeper, Kirsta Houchin, who apologized profusely, took full responsibility for the mistake and provided the missing records to me free of charge. The missed use-of-force report was the only missing record, she added. I have no reason to believe that Sheriff's Office intentionally withheld this information (in fact, I believe Houchin's explanation is completely genuine). "I'm one person doing two people's job," she says. But honest or not, even that one mistake raises questions for other records requests, and the Sheriff's Office is not alone. Previously, we found records that should have been released regarding the investigation into former police chief Frank Straub. Media outlets requested all complaints filed against Straub, but at least two complaints from 2014 were not included. The Inlander obtained these complaints from separate sources and alerted the city clerk's office to the oversight. Those two complaints had been filed with the police ombudsman in 2014 and accused Straub of dishonesty. Additionally, a recent Washington state Supreme Court decision ruled that the state's Department of Labor and Industries illegally delayed the release of more than 5,400 pages of public records to the Seattle Times. In that case, state Supreme Court justices upheld a trial judge's ruling to impose penalties for withholding the records. Official responses for requests for public documents are never perfect because the people who fill them aren't. But there is a thin line between an honest mistake and intentional disregard for state law. First Friday is tonight and it's the warmest day of spring so far, so get outside! Repeat after me: The Central City Line is not a trolley. It's not a streetcar. It's a bus. When Spokane cops beat and hog-tied Otto Zehm, they could count on one man coming to their defense: Rocky Treppiedi.